Another pearl that came to me through that beautiful website Noisetrade.com and another chance to pay back a small debt. Pope Killdragon is on my iPod for a while already. 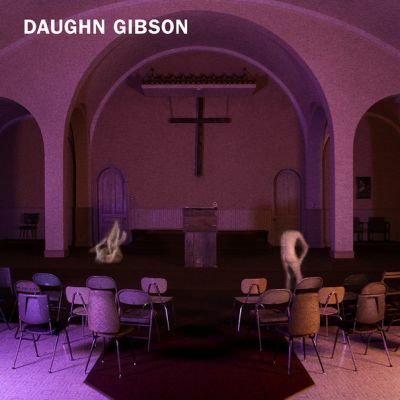 It was when I started listening more intently over the last couple of days that I noticed that paying more attention to the songs bared a quiet desolation screaming through the nooks and crannies of this mostly soft and contemplative album. Strand of Oaks is Timothy Showalter, a singer-songwriter who can compete with many a famous colleague. A singer-songriter with a lot to tell, stories that are not necessarily upbeat; better, they are destitute. His family dies in 'Kill dragon' of the plague and at that point in the album we are in the first verse of the second song. Opener 'West river' is an instrumental, so there you go. Another song starts off that he "lost all his teeth last night". Pope Killdragon is Strand of Oaks' second album, released in 2010. 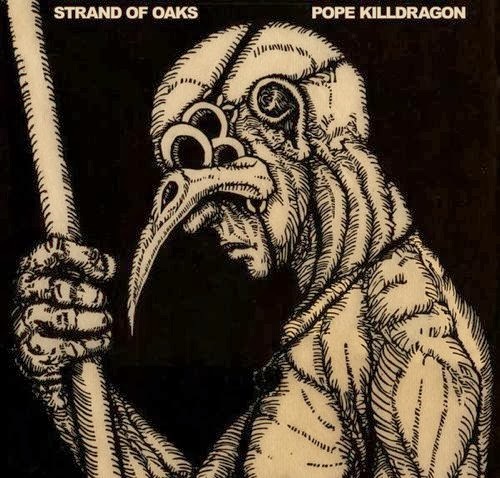 'Leave ruin' preceded it and 'Dark shores' followed it, but I'm focussing on Pope Killdragon, as Showalter offered the album to me for free. Pope Killdragon is a modest album in form. 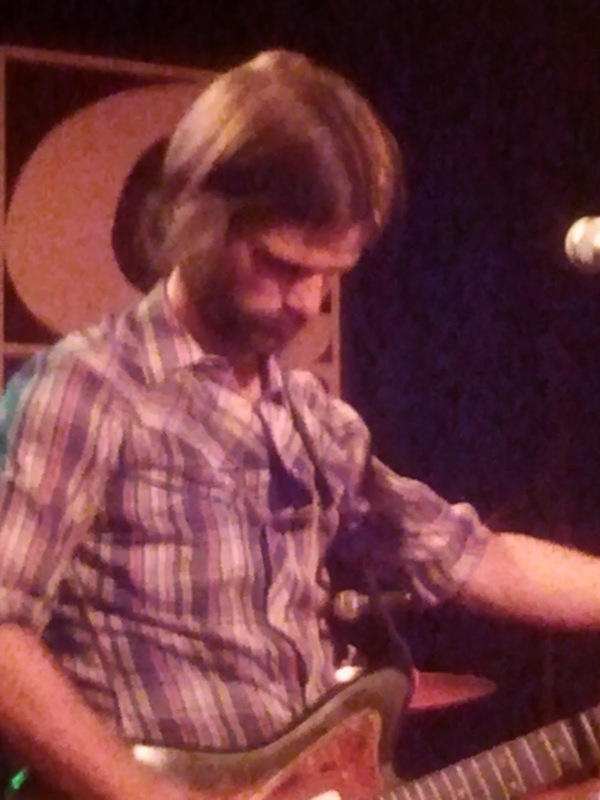 Timothy Showalter is there with his voice and guitar. Around him are sparse instruments filling up the otherwise empty space. A bass, an elementary drumkit, a few background vocals. 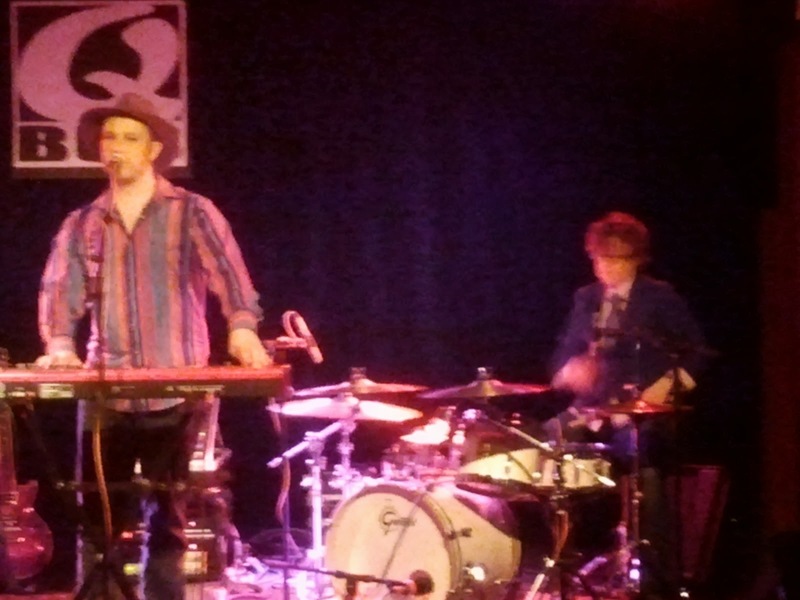 Names that come to mind are Sparklehorse, Iron and Wine, but also Edward Herda, who came by on this blog this spring. 'Sterling' is a song that is blown up to epic proportions. Starting small, vulnerable, with just an acoustic guitar and a clear voice remembering me of someone who keeps eluding me and of Sparklehorse without the small cracks and tape hiss. Singing about the Kennedy's, the songs slowly changes as drums and guitars kick in and a background vocal that is repeated and repeated "I saw him coming", like a drone. Slowly the song goes all out, the electric guitar ripping the song apart, while the rest keeps it together. The dry drums are a treat to listen to. Strand of Oaks plays with its listeners in a great way with 'Sterling'. Perhaps a bit too long, but the way the tension is built up and released towards the end, shows craft and insight. Strand of Oaks does not reach for great effects only. 'Bonfire' has one guitar at first, a voice drenched in echo and some keyboard sounds. Halfway the song this is flashed out modestly- and it is then that I know who eluded me so far: Damien Rice. Fans of the Irish bard who's quite for years now in 2013, may find a fine replacement until Damien Rice is ready to release his third album. With minimal effect Strand of Oaks hits me emotionally as he combines music and voice in a great way. A mother that gets killed by a bowling ball (reminding me of "Owen Meany"). Strange things happen in the songs of Timothy Showalter. And I listen and am impressed as the album keeps its quality all the way to the end. Remains a complement for the exquisite cover. Almost like Brueghel etching, Medieval and brooding. Like the Black Death hanging over us. Impressive. You can listen to or download Pope Killdragon here. Tylan and Nate by Wo. 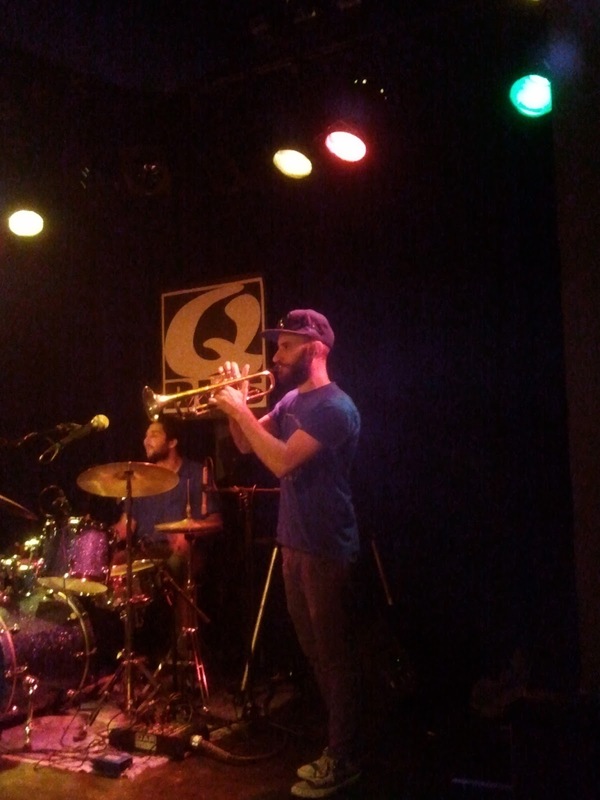 About one and a half year ago I wound up one evening at the Q-Bus in Leiden. If I remember correctly I was invited to come and did not even have to pay, as a filler, in fear of an empty venue. It was not one of the best attended shows, but something happened. I sort of fell in love with the music and presentation of a band called Girlyman. While I was surprised by more than the music, as you can read in my review (click here), I stood closer and closer to the stage not to miss a thing. Then ane e-mail was sent on the e-maillist I had subscribed to, saying that the band was close to bankruptcy because of the UK and Netherlands tour. 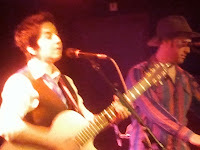 Followed by another saying that Tylan was crowdsourcing a solo album. The other three started to work on an album with songs for children. In the meantime I did a very personal interview with Doris for this blog and reviewed 'Supernova'. What however did not happen, was news on a new album or coming back together to make music. This worried me some, as a new fan. Then, a few weeks back, I received an e-mail by Doris announcing, what I sort of knew was coming, Girlyman was no more. I am very happy that I was talked into coming that night in May of 2012 and saw something of such great beauty. Of intense, beautiful and serene singing, intricate playing and people who seemed to love to be on stage together sharing their music with the people in the audience. With modesty, with a lot of dignity, but also a keen sense of (musical) humour. I was very lucky to have been able to have seen this show. Now that it is all over, I notice that this evening with Girlyman has added something, very small but valuable to my life: the true joy of music and singing. Thank you Girlyman and Doris, JJ, Nate and Ty: I wish you all the best. Doris' e-mail holds a link to her blog, explaining it all. If you care to read it you can find it here. Google a little bit and you can find the whole Q-Bus show on You Tube. Aoife O’Donovan is een Amerikaanse zangeres met ongetwijfeld Ierse roots. Daar hoor je op haar debuut Fossils overigens niet zo gek veel van terug. 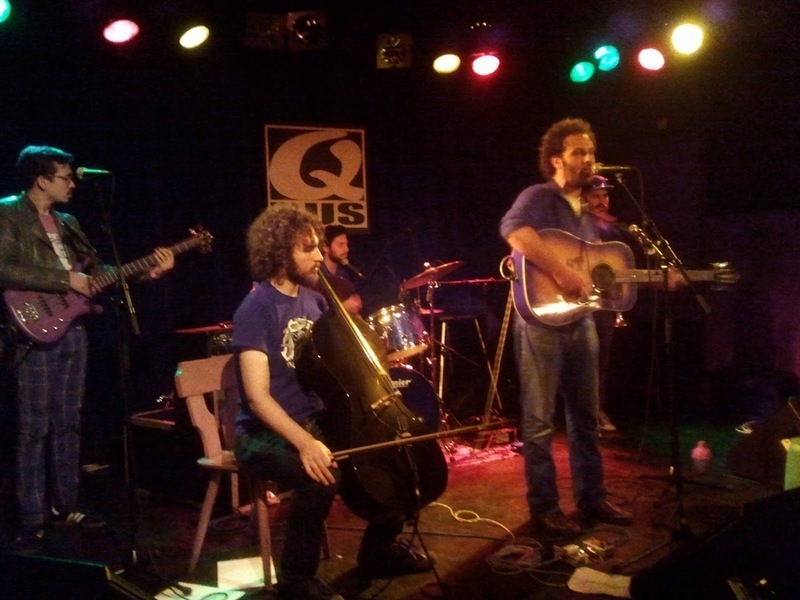 Fossils is een Amerikaanse rootsplaat met vooral invloeden uit de folk, country en bluegrass. 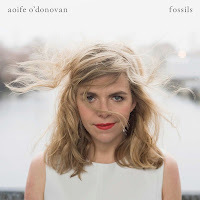 Hiermee beweegt Aoife O’Donovan zich voor een belangrijk deel op hetzelfde terrein als Alison Krauss; een zangeres waarmee Aoife O’Donovan ook in vocaal opzicht de nodige gelijkenis vertoont. O’Donovan komt zeker niet uit de lucht vallen. Ze maakte de afgelopen jaren platen met het trio Sometimes Why en vooral met de prima band Crooked Still (waarvan ik een fraai rijtje in de kast heb staan). Ook op eigen benen weet Aoife O’Donovan zich prima te redden. Samen met topproducer Tucker Martine heeft Aoife O’Donovan een plaat gemaakt die zich zomaar kan scharen onder de betere rootsplaten van het jaar. Tucker Martine zorgt op Fossils voor een mooi warm geluid, dat over het algemeen opvallend vol klinkt. Nu ben ik in dit genre meestal niet gek op een overdaad aan instrumenten, maar de rijke instrumentatie op Fossils voelt aan als een warm bad. Het is bovendien een instrumentatie die prachtig kleurt bij de bijzonder aangename stem van Aoife O’Donovan. Het is zoals gezegd een stem die wel wat aan die van Alison Krauss doet denken; een groter compliment kun je een zangeres in dit genre nauwelijks maken. Fossils kleurt redelijk netjes binnen de lijntjes van de driehoek die wordt gevormd door folk, country en bluegrass, maar het is wel degelijk een gloedvolle plaat waarop gepassioneerd wordt gemusiceerd. Naast passie straalt Fossil vooral rust uit. Aoife O’Donovan maakt muziek die een rustgevende uitwerking heeft op de luisteraar, waardoor Fossils makkelijk overtuigt. Met Fossils heeft Aoife O’Donovan een plaat gemaakt die haar eenvoudig toegang kan geven tot een groot publiek, maar Fossils is ook zeker interessant voor de liefhebber van wat alternatievere rootsmuziek. Zeker wanneer je Fossils niet alleen beluistert om bij tot rust te komen, valt er op het solodebuut van Aoife O’Donovan veel te genieten. De productie van Tucker Martine is van een bijzonder hoog niveau en zit vol details. De productie en de fraaie instrumentatie, waarin vooral het gitaarwerk een paar keer indruk maakt maar ook andere instrumenten voor een avontuurlijke touch zorgen, geven de prachtige stem van Aoife O’Donovan meer kleur, waardoor ik Fossils persoonlijk interessanter en mooier vind dan de platen van Alison Krauss. Een topplaat in het genre derhalve. Je kunt hier naar 'Beekeeper' luisteren. This record was sitting on my pile of new records for quite some time. Not beneath it, but somewhere in the middle coming up again and again. Every time it came by I thought, I should write a review of this and forgot about it again and again. Not special enough? No, it isn't that, although Anna is not special, as in unique, nor is it meant to be. 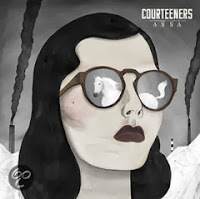 The Courteeners present a pleasant mix of pop with a shot of rock and Britpop with melodies that sort of have this little hooks that attach themselves in the brain. Without being completely unique, far from. 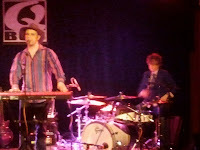 Fans of bands like Handsome Poets, Go Back To The Zoo, The Rifles, to name but a few, should continue reading for sure. The Courteeners is a band from Manchester. Anna is its third album after 'St. Jude' (2008) and 'Falcon' (2010). Short album titles is an evident The Courteeners hobby. Song titles are allowed (a little) longer. On Anna the band presents itself as a rocking outfit with 80s dance beats under the thick guitar layers. For the most The Courteeners draw neatly between the lines, but as long as that happens with superb melodies there's nothing wrong with that. Anna offers these in abundance. Starting off with two perfect popsongs, it is in 'Van der Graaff', that the music on Anna gets a bite. Now any song referring to Peter Hammill's vehicle, one that I can barely listen to, I'll admit, needs a bite. The guitars get more of an edge and the melody also goes in and out of the perfect pop song. It is at moments like this that Anna gets something extra that makes it stand out from the fierce competition. In 'When you want something you can't have' The Couteeners obviously strive for something higher. Liam Fray aims for Al Stewart singing and coming a long way, while the harmonies are in between The Beatles and The Kinks. The song is an amalgam of musical styles, but coherent in its execution and outcome. The exuberant intro to 'Welcome to the rave', reminding me of Spector, comes as a total surprise after the introspection of 'When you want something ...'. The keyboard (or heavily treated guitar) jumps on the listener, starting off a party song full of dynamics. The way the song switches in mood from soft to loud, shows vision and originality, something that wins me over for The Courteeners and Anna a little more. Taking the album in as a whole, perhaps Anna is a little too much up beat for my taste, but this takes nothing away from the many strong melodic songs that it hosts. 'Save Rosemary in time' is uncannily close to a Handsome Poets song. Its fans ought really to find their way to Anna. Another winner, with another sonic treatment of the guitar, that makes Anna more fun to listen to again. The fun thing of Anna is that with the passing of songs I am waiting for a song that is less potent, but that doesn't happen. The next one can compete with the previous each time. Perhaps the ballad 'Marquee', doesn't, but this song does offer the necessary variation Anna needs. Wrapping up, if I were the Anna after whom the album was titled I'd be in my "nopjes", as the Dutch say. Very melodic and rocking out in the right places at the same time. Sounds like a pop/rock winner to me. You can listen to 'Are you in love with a notion' here. Daughn Gibson wordt vooral in het hokje der singer-songwriters geduwd, maar voor liefhebbers van dit genre is Me Moan waarschijnlijk flink wennen. Gibson heeft een verleden in de punk en hardrock, maar hij is ook niet vies van onder andere country & western en elektronica, wat uiteindelijk een unieke plaat oplevert. Nu ben ik persoonlijk wel gecharmeerd van een opvallende mix van stijlen, maar de stem van Gibson streek in eerste instantie flink tegen de haren in. Gibson heeft een zware en donkere stem, die me persoonlijk vooral doet denken aan die van Scott Walker (in iets jongere jaren), maar gelukkig is de muziek van Gibson een stuk toegankelijker dan de laatste platen van Walker. Samen met onder andere twee gitaristen heeft Daughn Gibson een plaat gemaakt die begint bij country en rock ’n roll van decennia geleden, om vervolgens via onder andere een vleugje postpunk en elektronische impulsen in het heden uit te komen. Me Moan is hierdoor een originele plaat die niet of nauwelijks is te vergelijken met andere platen die ik in de kast heb staan. Dat is knap, maar wat nog knapper is, is dat Daughn Gibson ook een plaat heeft gemaakt die uiteindelijk vrij makkelijk weet te overtuigen. Helemaal nieuw is de muziek van Gibson overigens niet, want vorig jaar bracht hij al het nauwelijks opgemerkte All Hell uit. Het op het roemruchte Sub Pop label uitgebrachte Me Moan kan uiteraard op veel meer aandacht rekenen en daar valt helemaal niets op af te dingen. Me Moan is in vocaal en instrumentaal opzicht een opzienbarende plaat. De stem van Daughn Gibson is er absoluut een die niet door iedereen gewaardeerd zal kunnen worden, maar het is ook zeker een stem die je moet leren waarderen. Bij eerste beluistering zat de stem van de Amerikaan me vooral in de weg, maar inmiddels kan ik de vocalen op Me Moan ook in positieve zin waarderen. Ook de instrumentatie op Me Moan doet in eerste instantie de wenkbrauwen fronsen. Het instrumentarium op de plaat is aan de ene kant traditioneel met blazers, strijkers en een fraaie pedal steel, maar hier tegenover staat een flinke bak met bijna ambient achtige elektronica. Dat is een combinatie die ik wel eens eerder heb gehoord (niet vaak overigens), maar de mix van traditionele rock en roll en country aan de ene kant en elektronica en new wave aan de andere kant is als je het mij vraagt nog niet eerder vertoond. Daughn Gibson combineert de opvallende vocalen en instrumentatie op Me Moan met een mooie productie en in kwalitatief opzicht uitstekende songs. Me Moan is hierdoor een plaat die vrij makkelijk overtuigt, wat nog eens wordt verstrekt door de bijna vanzelfsprekende wijze waarop Daughn Gibson de meer experimentele elementen in zijn muziek verwerkt. Een weinig voor de hand liggende mix van invloeden of een niet alledaagse stem of instrumentatie klinkt vaak als een trucje, maar hiervan is op Me Moan van Daughn Gibson geen sprake. Me Moan is een wat duistere, donkere en mysterieuze plaat die in veel recensies wordt gelinkt aan films en series van David Lynch. Het zou inderdaad een prima combinatie zijn, maar op één of andere manier is Me Moan ook een gepassioneerde en gloedvolle plaat die het daglicht uitstekend kan verdragen. Het in juli uitbrengen van een plaat is op zich geen hele verstandige keuze, maar ik hoop absoluut dat Me Moan van Daughn Gibson niet tussen wal en schip valt. Wanneer later dit jaar de balans wordt opgemaakt in de jaarlijstjes is Me Moan immers een plaat waarmee zeker rekening moet worden gehouden. Je kunt hier naar 'Kissing on the blacktop' luisteren. New psychedelia is on us from all sides. From Australia, to Hoorn, to the U.K. and San Francisco bands and acts spring up or on the band wagon. Pond is a band from Perth, Australia and perhaps more a collective than a real band, as it has more past members than current ones. The centre of the band are Nick Allbrook and Jay Watson known from Tame Impala, a band that I so far did not get, with Joseph Ryan. Pond goes a step further than Tame Impala does and has a thick soup of psychedelia cooked up in which the music wades around. Sounds and rhythm changes pop up out of the soup to disappear again, while the background noise, the soup, continues to cook at loud and wild volume. Seven songs and Hobo rocket is all over. Point made. In the end I’m not a fan of psychedelia. There has to be a song, a melody to hang on to. Something to hum to or sing along with. A song that is able to get into my head and not go away. (Although there are some songs I just hate if they turn up in there. I’m sure you know what I mean.) Pond offers this on Hobo rocket. There are songs that may disappear into the soup every once in a while, but songs. ‘Xanman’ has a refrain like that. Simple and effective. No matter what’s going on around it. It is quite clear that Hobo Rocket is not an album to listen to under all circumstances. On ear plugs with outside noise seeping through it does not work. If I'm too tired or have to concentrate? Forget it! Only if I have the time and listen intensely to the music Pond presents it makes sense for me to take it all in. In all other circumstances it is nothing but noise. All the subtleties worked around the soup disappear, leaving this mull of noise that goes around and around. In all songs there is things going on in the back or the foreground, even in the mellow 'O Dharma', that dominate the overall atmosphere of the song. It is over this "ground" Pond creates the song, the melody and the vocals. The last category is not the strongest point of Pond. Not unlike Foxygen, Pond is. The vocals are all treated in one way or another, never a clear voice. However, this adds to the psychedelic atmosphere of Hobo rocket. To go back to 'O Dharma', this songs shows how a Pond song can evolve and take a few unexpected curves, in this case easy to follow, changing the whole face and mood of the song. The melody changes, totally other instruments are added and a point of rest in the noise eruptions on the rest of Hobo rocket, where Pond changes a song all the time, but from under the soup. Harder to detect when not really listening. Hobo rocket is not your every day record. Experimental, but coming from a song and from there takes off in different direction. Some in the 1967 pop variety, others more modern and noisy. But, perhaps oddly after what went before here, there are some progrock elements as well. The dreamy elements and the loud rocking elements of a band like Yes can be found on Hobo rocket if you care to find them. (Hint? 'Giant tortoise. One of the better songs on the album.) 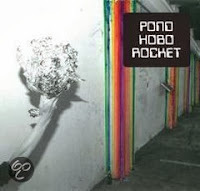 It makes Hobo Rocket worthwhile to explore and not to be put off at first listen. You can listen to 'O dharma' here. Sam Amidon is helaas nog altijd een redelijk onbekende naam in singer-songwriter land. Het alter ego van de in de Amerikaanse staat Vermont geboren Samuel Tear heeft inmiddels vijf platen op zijn naam staan, waarvan met name het in 2010 verschenen I See The Sign (zijn vierde) flink wat indruk maakte. Op deze plaat verrijkte Amidon zijn tot op dat moment uiterst sobere folksongs met bijzonder smaakvolle (deels elektronische) accenten van de IJslandse producer Valgeir Sigurosson (Björk, CocoRosie, The Magic Numbers, Feist), arrangeur Nico Muhly (bekend van zijn eigen werk en bijdragen aan de muziek van onder andere Björk, Grizzly Bear en Antony & The Johnsons) en multi instrumentalist Shahzad Ismaily (die op tientallen legendarische platen te horen is). Het resultaat was even mooi als verrassend, met een aantal duetten met (echtgenote) Beth Orton als onbetwiste hoogtepunten. 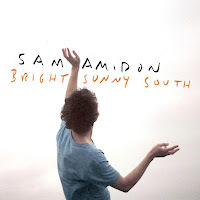 Ook op zijn vijfde plaat, Bright Sunny South, weet Sam Amidon weer te verrassen. Net als op zijn vorige platen vertolkt de Amerikaan voornamelijk stokoude folk traditionals, maar Amidon geeft hier ook dit keer een geheel eigen draai aan en is bovendien niet bang om een song uit het oeuvre van Mariah Carey grondig te verbouwen (op I See The Sign deed hij dit al op fascinerende wijze met een song van R. Kelly). Voor de productie vertrouwde Sam Amidon dit keer op Thomas Bartlett, die we ook kennen als Doveman. Omdat naast Valgeir Sigurosson ook Nico Muhly ontbreekt op Bright Sunny South klinkt de plaat totaal anders dan zijn voorganger. De wat atmosferische en subtiel elektronische klanken met flink wat strijkers zijn vervangen door een veel aardser geluid, waarin de subtiliteit overheerst. Voor het grote deel van de instrumentatie werd ook dit keer een beroep gedaan op Shahzad Ismaily, die keer op keer weet te verrassen en imponeren met even stemmige als trefzekere bijdragen. Voor het meeste kippenvel zorgt bij mij echter de trompet die een paar keer hartverscheurend mooi opduikt in het fascinerende klankentapijt van Bright Sunny South. Net als op zijn vorige platen heeft Sam Amidon ook dit keer een voorkeur voor stemmige en relatief sobere songs boordevol melancholie, maar een enkele keer komt het tot uitbarsting. Bright Sunny South doet me af en toe wel wat denken aan de briljante platen van Songs:Ohia (ik tel toch snel een meesterwerkje of vijf) of aan die van Damien Jurado (die er nog een paar meer op zijn naam heeft staan), maar de muziek van Sam Amidon behoudt dankzij zijn warme stem en de opvallende songkeuze met gemak zijn unieke karakter. Persoonlijk vind ik het erg jammer dat vrouwlief Beth Orton dit keer niet mocht komen opdraven voor een aantal mooie duetten, maar ook zonder Orton weet Sam Amidon het ene na het andere prachtliedje uit de hoge hoed te toveren. Het is momenteel overvol in het land der folkies, maar Sam Amidon steekt er , net als drie jaar geleden, met kop en schouders bovenuit. Bright Sunny South is daarom een plaat die geen enkele folkie mag missen. 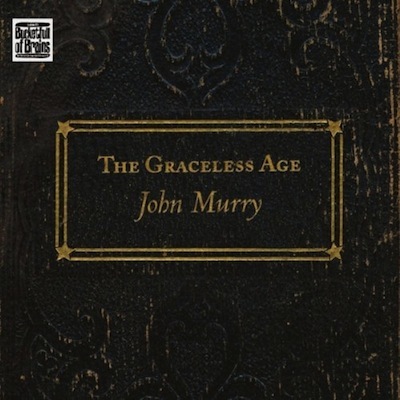 In de categorie onbekend of miskend rootstalent deze week aandacht voor één van de beste rootsplaten van de laatste jaren: The Graceless Age van John Murry. Reden voor deze (betrekkelijk late) aandacht is de recente reissue van de plaat, die vorig jaar bij de release nauwelijks aandacht wist te trekken, maar in de maanden erna eigenlijk alleen maar met superlatieven werd bejubeld. John Murry is een muzikant uit Tupelo, Mississippi, die een jaar of zeven geleden, samen met Bob Frank, een inmiddels onbetwist meesterwerk maakte. World Without End van Bob Frank en John Murry is een plaat vol folky murder ballads van een bijna angstaanjagende schoonheid. Ik heb de plaat er recent weer eens bij gepakt en was meteen weer in de ban van een van de mooiste rootsplaten van 2006 en tevens één van de donkerste platen die ik in de kast heb staan. De afgelopen jaren werd John Murry gevangen gehouden door een ernstige drugsverslaving, maar vorig jaar slaagde hij er toch in om weer een plaat te maken, The Graceless Age. Murry’s drugverslaving staat centraal op de onlangs opnieuw uitgebrachte plaat en het zal daarom niemand verbazen dat ook The Graceless Age weer een donkere en bij vlagen zelfs gitzwarte plaat is. Net als op World Without End levert het een plaat van een bijna beangstigende schoonheid op. The Graceless Age is een plaat die het daglicht nauwelijks kan verdragen en daar moet je tegen kunnen. 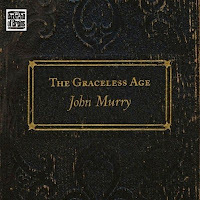 Alleen al door de donkere en emotievolle stem van John Murry heeft de plaat een bijna sinistere sfeer en ook de instrumentatie op de plaat draagt bij aan het onheilspellende karakter van The Graceless Age. De muziek van John Murry past in het hokje Americana, met een hoofdrol voor country en vooral folk, en doet in eerste instantie wat sober aan. Schijn bedriegt. Murry heeft de in eerste instantie door de inmiddels overleden Tim Mooney (American Music Club, Sun Kil Moon) geproduceerde plaat in een tweede sessie in Memphis voorzien van flink wat extra geluiden en instrumenten, waardoor er van alles gebeurt op de plaat. In eerste instantie vond ik de toegevoegde samples en geluiden alleen maar storend, maar uiteindelijk geven ze de plaat een unieke sfeer en extra zeggingskracht. 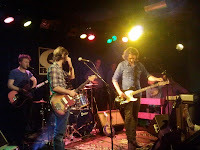 John Murry is op zich geen groot zanger, maar het is wel een zanger die je kan raken. Bij mij slaagt Murry, die heel af en toen wel wat doet denken aan Springsteen op zijn sobere en donkere platen, hier uitstekend in en de kracht van zijn muziek neemt nog steeds alleen maar toe. The Graceless Age bevat een aantal hele lange tracks, waaronder een track van ruim 10 minuten. Ondanks het feit dat de muziek van Murry soms wat voort lijkt te kabbelen verveelt The Graceless Age geen minuut, ook niet wanneer je de plaat twee of drie keer achter elkaar beluistert; een zeldzame kwaliteit. Iedereen die The Graceless Age een jaar geleden niet heeft opgepikt, moet het inmiddels al bijna een jaar zonder deze prachtplaat doen, maar krijgt op de reissue wel een aantal bonustracks cadeau. Het zijn tracks die niet onder doen voor de tracks op het eerste deel van de plaat, waardoor The Graceless Age eigenlijk alleen maar mooier is geworden. Het blijft absoluut een plaat waar je tegen moet kunnen en waarvan veel mensen moeten leren houden, maar als je er tegen kunt of er van hebt leren houden, is dit een plaat die een plekje verdient tussen de parels in de platenkast. Net als de plaat die Murry een paar jaar geleden maakte met Bob Frank. Je kunt hier naar 'California' luisteren. It seems I missed a few, albums that is. Since 2006 Thee Oh Sees have been putting records out at a stiff pace. The first two as The OhSees. And none of these reached my home, not even my ears as far as I'm aware. This changed with Floating coffin, just a few weeks back. And I've heard an album that I forgot the name of, but made me think that Frank Zappa and the Mothers of Inverntion had reunited to create 'Freak out' part 2. Totally spaced out hippie music on a firm rock and roll and doo wop basis. Floating coffin is somewhat more coherent, but still fun and adventurous as you'll find out if you bear with me. Thee Oh Sees is a band from San Francisco that is the vehicle for John Dwyer to release his musical ideas. There's a long list of bands and names under which he released his music before that, since 2006 this name is consistent. It seems that Thee Oh Sees evolved naturally from a one man outfit to a full band. One member after another joined when the music Dwyer wanted to play evolved into a garage rock, psychedelic band. One main feature of the sound of Floating coffin is the harmonies of Bridged Dawson. The three gentleman around them play drums and guitar or bass, what a song calls for and that could be two drummers. Floating coffins starts and ends with the wall of guitars that Dwyer, alone or with assistance, builds. This makes Floating coffin a hard rocking album. Nothing like most psychedelic bands I've been hearing in the past year. 'Maze fancier' pounds on relentlessly. Not unlike 'What goes on' or 'Beginning to see the light' by The Velvet Underground, but fuller and more condensed in sound. This puts Floating coffin in a line with the albums of The Black Angels. Also a great garagerock song like 'Heart attack' by Ghetto Ways comes to mind. Not exactly aimed at popular radio that is. The guitar is basically everywhere, with bass and drums mixed behind the guitars, the voice mix straight in the middle as if the sound comes through the middle of a stack of guitar amplifiers. This does not make for perfect listening on a headset. A keyboard solo? Also here the sound comes straight through the middle in 'Sweet helicopter'. Bridged Dawson takes the lead in this song, a great variation in the sound of Thee Oh Sees, that makes the album grow. What I also like is that some songs have the tightness of an early The Undertones song, like the obvious choice 'Teenage kicks', sprinkled with the playfully psychedelic overtones of 'Julie Ocean' in one. Before you think it's all loudness and weirdness, it isn't. Although it's up at the very end, 'Minotaur' is this open and slower song that shows that Thee Oh Sees can also aim at a more sensitive sort of song. The viola of K. Dylan Edrich plays a prominent role in the song, totally unlike the way of John Cale's in 'Venus in furs'. There are more variations in the album, although more subtle and unreachable if you can't get past the loud rock and roll played here. The way the album kicks off tells all. 'I come from the mountain' is nothing short of a declaration. Loud, up-tempo, a driving beat, great small guitar leads, this fun organ riff and distorted vocals by Dwyer and Dawson. 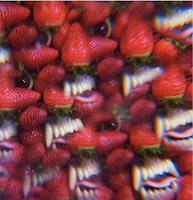 If you stand this, from there on it's a trip down Thee Oh Sees' Floating coffin lane. This leads you you to a slower, but also relentless psychedelic rocker called 'Toe cutter - Thumb blaster' sung by Dawson, more open than most songs on the album, but with a fantastic guitar blast or two. Next comes the title song with great dynamics in the instrumentation while the beat pounds on, tight and just about perfect. And it just goes on and on from the big rock and roll intro of the less louder 'No spell' and beyond. You can listen to 'Toe cutter - Thumb buster' here. Het miskende of op zijn minst onbekende rootstalent van de week komt uit Austin, Texas, zo langzamerhand de hoofdstad van de (betere) Amerikaanse rootsmuziek. HalleyAnna (volledige naam HalleyAnna Finlay) maakte een jaar of twee geleden al een hele mooie plaat (The Country), maar deze kreeg niet veel aandacht (ik heb hem zelf ook pas een aantal weken geleden ontdekt). The Country werd gepositioneerd tussen Emmylou Harris en Lucinda Williams; twee namen waaraan ik zelf de namen van Tift Merritt en Mary Gauthier wilde toevoegen. Ook bij beluistering van de titelloze tweede plaat van HalleyAnna komen wat mij betreft de bovenstaande vier namen op. Net zoals Emmylou Harris beschikt HalleyAnna over een stem die je makkelijk diep raakt en die de songs op de plaat een extra dimensie geeft. Net als Lucinda Williams maakt HalleyAnna traditioneel aandoende rootsmuziek die is voorzien van een rauw randje, wat de muziek flink wat extra kracht geeft. Net als Tift Merritt beschikt HalleyAnna over het vermogen om traditionele rootsmuziek met een modern tintje te maken en net als Mary Gauthier maakt HalleyAnna muziek die bol staat van de emotie en doorleving. Alles bij elkaar opgeteld is de tweede plaat van HalleyAnna een plaat die zich kan meten met de betere platen van de hierboven genoemde grootheden en is het dus ook een plaat die moet worden gerekend tot de smaakmakers in het genre van het moment. HalleyAnna laat zich op haar titelloze tweede plaat begeleiden door muzikanten die zijn gepokt en gemazeld in de Amerikaanse rootsmuziek, maar er wordt nergens op routine gespeeld. Het geeft de plaat een dosis energie en gevoel die makkelijk overspringt op de luisteraar. Het sterkste wapen van de plaat is echter de stem van HalleyAnna. HalleyAnna beschikt over een stem die zoveel emotie bevat dat ze waarschijnlijk mensen kan ontroeren bij het voorlezen van het telefoonboek. Het nadeel van zoveel emotie is dat een stem wel eens wat onvast kan zijn. Voor uitsluitend mooizingerij moet je daarom niet bij HalleyAnna zijn, maar voor liefhebbers van zangeressen die hun ziel en zaligheid in hun muziek leggen is het tien tracks lang smullen. De tweede plaat van HalleyAnna is zo’n plaat die bijna achteloos voortkabbelt wanneer je te moe bent om naar muziek te luisteren maar wel van muziek wilt genieten, maar het is ook een gloedvolle plaat die je tot op de laatste noot kunt ontleden om maar niets te missen. HalleyAnna draait inmiddels al een tijdje zijn rondje in mijn cd spelers en ik moet zeggen dat de plaat me inmiddels zeer dierbaar is. HalleyAnna heeft een plaat gemaakt die direct hetzelfde met me deed als Car Wheels On A Gravel Road van Lucinda Williams of Drag Queens In Limousines van Mary Gauthier inmiddels al weer enige tijd geleden deden. De titelloze plaat van HalleyAnna is daarom een klassieker in de dop en bovendien weer zo’n onbekende rootsplaat die geen enkele liefhebber van het genre mag missen. Je kunt hier naar 'Music corner' luisteren. Ik heb op het moment een duidelijke voorkeur voor sprankelende zomerplaten (de zomer moet tenslotte ergens vandaan komen), maar ook in juni zijn er nog volop late avonden waarop het weliswaar niet donker is, maar wel kil. Op deze avonden grijp ik nu al een tijdje naar Rise To The Grind van Garrett Lebeau. Rise To The Grind is net als de laatste plaat van Boz Scaggs een plaat die vrijwel onmiddellijk onweerstaanbaar is, zonder dat je direct door hebt hoe goed hij eigenlijk is. Garrett Lebeau is, in tegenstelling tot wat zijn naam doet vermoeden, een Amerikaan met Indiaans bloed, die tegenwoordig vanuit Austin, Texas, opereert. In Austin weet hij inmiddels een tijdje de aandacht te trekken, waardoor hij voor Rise To The Grind een aantal gelouterde sessiemuzikanten wist te strikken. In muzikaal opzicht speelt Rise To The Grind daarom vrijwel onmiddellijk een gewonnen wedstrijd, maar de zege wordt pas definitief binnen gehaald wanneer Garrett Lebeau begint te zingen. Rise To The Grind is een zwoele plaat voor de kleine uurtjes waarop invloeden uit de blues, jazz, folk, country, rock, funk en vooral soul domineren. Lebeau schuurt hierdoor in muzikaal opzicht dicht tegen Boz Scaggs aan, maar door zijn bijzondere stem klinkt hij uiteindelijk toch totaal anders. Rise To The Grind is een plaat die het niet moet hebben van variatie of dynamiek. Muziekliefhebbers met een lichte vorm van ADHD zullen snel onrustig worden van de lome klanken, de ingehouden songs en het eindeloos herhalen van vrijwel hetzelfde recept. Rise To The Grind ontleent zijn kracht voor een belangrijk deel aan de sfeer en de details, wat overigens niet betekent dat er op de plaat niet fantastisch wordt gemusiceerd. 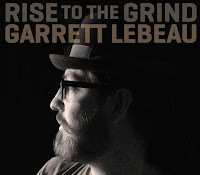 Garrett Lebeau en zijn bandleden leggen keer op keer een fantastisch geluid neer, waarna Lebeau het met zijn opvallende stem, die wel een beetje aan die van Van Morrison doet denken, alleen maar hoeft af te maken, wat de Amerikaan steeds op uiterst subtiele wijze doet. De kracht zit keer op keer in de details. Een paar noten van een heerlijk orgeltje, een voorzichtige tempowisseling van de ritmesectie of een JJ-Cale achtig gitaarloopje dat door de ziel snijdt; Garrett Lebeau en zijn band beschikken over vele sterke wapens, maar zetten ze alleen bij hoge uitzondering in. Ik moet eerlijk toegeven dat ik in eerste instantie ook wel wat slaperig werd bij het helemaal uitzitten van Rise To The Grind, maar inmiddels heeft de plaat me volledig te pakken. Garrett Lebeau haalt de soul voor de afwisseling eens niet uit de tenen, maar uit de pink, wat voor de innerlijke rust wel zo prettig is. Bij beluistering van Rise To The Grind waan je je in een rokerige nachtclub waarin de recessie definitief heeft toegeslagen. Klanten zijn er niet, de verf bladdert van de muren, het bier is laf en lauw en buiten begint het ook nog eens stevig te regenen. Het enige dat troost biedt is de prachtige muziek van de band op het kleine podium. Die band speelt zo mooi dat je blijft zitten; de hele nacht als het moet. En morgen zit je er weer. Je kunt hier naar 'Eyes on you' luisteren. 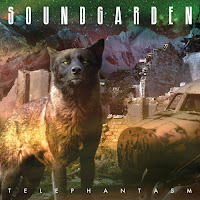 Voor mij een ‘must see’.....Soundgarden.....als ik eerlijk ben, eigenlijk Chris Cornell. Weten dat ze in Amsterdam gaan optreden en dan geen kaartjes kopen, en vervolgens kaartjes cadeau krijgen van m’n zoon. Wat kan het leven mooi zijn. Als liefhebber van de grunge stroming uit Seattle en, zoals eerder beschreven, passief meeluisteraar thuis, was ik in de veronderstelling dat ik het meeste werk van Soundgarden wel kende. Bij nader inzien viel dat tegen. De muziek die de band tussen 1984 en 1997 maakte, was toch wat ondergesneeuwd door Pearl Jam en Nirvana. En de enige cd die ik zelf veelvuldig heb beluisterd was wel met zang van Chris Cornell, maar met een andere band: Audioslave (Out of exile 2005). Afijn, op naar de Heineken Music Hall, een vierkante fantasieloze bak, maar, eerlijk is eerlijk, een geweldige akoestiek. Voorprogramma ook maar beluisterd: Graveyard, een viermansformatie met stevige rock uit Zweden. Recht voor het podium gezeten voelden de laagste tonen echter meer als een reanimatiepoging dan muziek. Niet helemaal prettig afgesteld dus. Dit was anders bij het optreden waar we voor kwamen: Soundgarden. Opmerkelijk vond ik overigens de overgang tussen de twee bands: er werd een kwartier lang gestofzuigd op het podium??? Vanaf het eerste nummer stond de muziek als een huis. Massief, indringend, hoewel Chris bij het eerste nummer even vals zong, iets wat ik eigenlijk niet wilde horen. De nummers volgden elkaar snel op, soms aangekondigd: Spoonman, Like Suicide…..En wat ik altijd een mooi gebaar vind: ‘Thank you for being here, we are here for you!’. Verder memoreerde Chris een eerder optreden: ‘I see a lot of bright eyes, and a few stoned, this was the other way around last time we were here’. Stevige muziek, fraaie lightshow, de bandleden wijdbeens, mooie spanning, misschien wat weinig onderlinge interactie, maar dat kan me ook ontgaan zijn omdat ik een zitplaats had opgezocht achterin de zaal en mijn aandacht telkens naar de lichteffecten en dia’s werd getrokken. Het publiek (waarom zijn er bij dit soort bands altijd zo weinig vrouwen in het publiek?) ging moeiteloos mee, smart phone in de hand. Halverwege het concert zakte bij mij de energie wat in, doordat ik de meeste nummers niet goed kende begon alles een beetje op elkaar te lijken. Ook de invloed van Led Zeppelin drong zich aan me op. Maar plotseling, don’t know what happened (nummers van hun nieuwste cd? ), leek de muziek nog massiever te worden, met mooie zware bassen en drums, met de geweldige stem van Chris…..boeiend, meeslepend, gaaf….ik snap nu ook weer waarom het toch zo hard moet dat je oordoppen nodig hebt. De toegift van de avond bestond ook bij Soundgarden uit meerdere nummers (nieuwe mode? ), en als afsluiting….tsjaa, hoe moet ik dat nou omschrijven? Afgezien van het feit dat het van mij niet had gehoeven….een enorme bak herrie, samengesteld uit het geluid van gitaren, vervormers en alle mogelijkheden die in een P.A. zitten, lang aanhoudend terwijl de bandleden reeds één voor één het podium verlaten hadden…..Apart, dat wel. 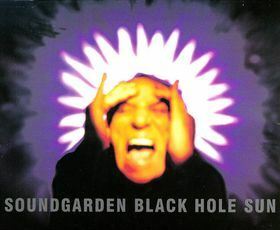 Enneh….geen Black hole sun…..gelukkig maar, want dat vind ik nou net geen mooi nummer. Laat ik eens beginnen met twee feiten. 1. Ik heb dit jaar nogal wat platen van eigen bodem bejubeld op deze BLOG (= Krenten uit de pop, Wo.) (28 om precies te zijn), maar voor de laatste moet ik inmiddels toch al weer een week of zes terug in de tijd. 2. Er is de laatste weken wat onduidelijke berichtgeving over de terugkeer van de wolf in Nederland. Aan de lange periode zonder release van eigen bodem maak ik nu een eind met de bewering dat de wolf terug is in Nederland. Ik heb het daarbij niet over het geïmporteerde beest dat een week of wat geleden langs de weg is gevonden, maar over Wolf In Loveland. Wolf In Loveland is een uit Rotterdam afkomstige band die, voor zover ik weet, nog niet mocht komen opdraven voor een minuut media aandacht in DWDD, maar dat zal in het nieuwe seizoen waarschijnlijk heel snel gaan veranderen. Met haar titelloze debuut heeft Wolf In Loveland immers een plaat gemaakt die zowel nationaal als internationaal een plekje in de spotlights verdient. De Rotterdammers doen dit met een plaat die toch vooral in het hokje folk zal worden geduwd. Het is een hokje dat past bij het debuut van Wolf In Loveland, want de eerste plaat van de band staat vol met wonderschone luisterliedjes. Toch doe je Wolf In Loveland tekort met slechts één etiket. Folk vormt misschien de basis van de muziek van de band, maar het is folk die makkelijk kan ontploffen en folk die volop open staat voor invloeden uit andere genres. Het eerste dat opvalt in het geluid van Wolf In Loveland is de stem van zanger Jan Minnaard, die beschikt over een aangenaam stemgeluid met een eigenzinnig randje. Het is een stem die het in zijn eentje prima kan redden, maar die meer kracht krijgt wanneer de rest van de band ondersteuning biedt met fraaie harmonieën. 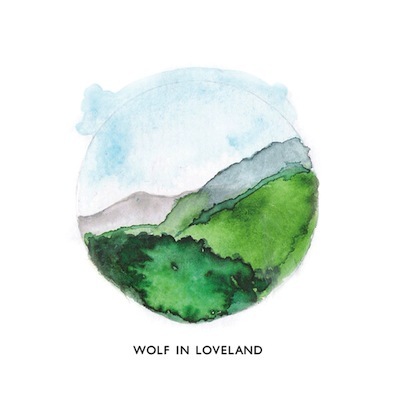 Zeker wanneer Wolf In Loveland kiest voor een grotendeels akoestisch geluid, ligt de vergelijking met Fleet Foxes (en vooral alle grote voorbeelden van Fleet Foxes) een aantal keren voor de hand, maar de Rotterdammers hebben gelukkig ook een meer avontuurlijke kant, die resulteert in onder andere een instrumentale ontsporing van anderhalve minuut of in een bijna 10 minuten durende track die prachtig opbouwt naar een climax. Het is knap hoe Wolf In Loveland muziek weet te maken met een heerlijk loom en dromerig karakter die je door alle onderhuidse spanning toch op het puntje van de stoel houdt. Het is knap hoe Wolf In Loveland folkmuziek weet te maken die uiteindelijk vooral buiten de lijntjes van de folk kleurt. Het is knap hoe Wolf In Loveland kiest voor een vol instrumentarium, maar er ook voor zorgt dat alle kleine details goed te horen zijn. Het is heel knap hoe Wolf In Loveland je vrijwel onmiddellijk weet te veroveren met haar mooie stemmige muziek. Of we blij moeten zijn met roedels wolven in het Nederlandse bos weet ik niet, maar met deze liefdevolle wolf uit Rotterdam ben ik heel blij. 2013 was al een heel mooi jaar voor de Nederlandse popmuziek, maar met het debuut van Wolf In Loveland krijgt het nog wat meer glans. Je kunt hier luisteren naar 'Truth be told'. As Ladera is released this week in The Netherlands and Shane Alexander is on tour soon, we run the review of Ladera again. Below is information on tour dates that are available now. You can listen to a few songs here. One of my favourite records of 2010 was 'Mono solo' by Shane Alexander. Several songs he wrote on 'Mono solo' were the best he'd ever written. In 2011 I did an interview with Shane for WoNo Magazine that was later published on the blog also (click here). In 2012 he released The Greater Good together with Dennis Koolen and Eugene Ruffalo (click here). At the trio's show last fall (click here) Shane showed me the cover photo of Ladera. And as you can now see it has turned out to be a beautiful cover, his best to date. Shane Alexander and I musically go back to 2003 when he released his first full length album. On the cover of 'The middle way' you can see a lone man walking, guitar case in hand. This invoked the image in me of a lone, harsh singer-songwriter or a young Bob Dylan. I always thought that the image did not relate to the music on the record, which I liked, but did not yet think was special. This only changed with 'Mono solo'. And now Ladera his here, his fifth album. An album he funded through crowd sourcing. In short, Ladera totally convinces. On his new album Shane Alexander continues the quality of 'Mono solo' and even takes it to new levels. Opening song 'One so young' rivals many a Simon & Garfunkel song and would not look bad in between the better The Beatles ballads. That the song at its finish goes off into psychedelic overtones, which are there in atmosphere not performance during the whole song, with Arab sounding guitar notes, does not matter. The tone for Ladera is set. On Ladera Alexander gives his audience songs in a (near) solo setting as well as in a band setting. In the former we hear just his voice, his beautifully sounding, clean voice and his guitar playing singer-songwriter motives, in the latter he allows himself to rock in a dignified way or swoons in the slow rhythms of 'Far as I can tell'. This ballad is so beautiful. The screaming guitar, mixed to a soft level in one ear, a banjo going for it in the other, together with an organ give 'Far as I can tell' its own unique texture. A lot of attention went into details, as the sparse accompaniment in several songs shows. All in the right place and time. Just listen to 'Open your eyes' to know what I mean. 'Rainclouds of knowable things' is a great example of a song that is 100% Shane Alexander. With Ladera Shane Alexander lifts along a little on the new psychedelic rage, but without leaving himself behind. In the end he has to play these songs on his own with just his guitar and perhaps a friend harmonising at times (like Dennis Koolen in The Netherlands). The psychedelica is not so much evident as it is this undercurrent on the record. An organ back in the mix, an ooh-aah chorus, not much more than that. What I also appreciate is the slow played banjo in a few songs. e.g. 'The enemy inside'. Of course this makes a song nudge towards a country setting and certainly so if a pedal steel is added as well. Again it does not make 'The enemy inside' an un-Shane Alexander song. To the contrary. In the lyrics Shane Alexander in doing some soul searching. Reflectively taking stock of who he is and where he came from. Looking back at his life and family. In the final song 'Ladera' he's hiding from the ghost inside. Again, 'Ladera' is a great song, special. 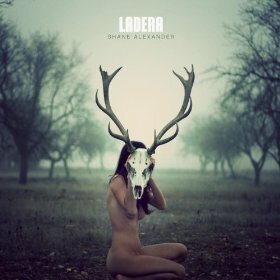 With Ladera Shane Alexander has made a record that is different in small details from his previous ones. Ladera is more subtle. Instruments really stand out, giving each song its own signature. In this the growth of Shane Alexander's career shows through. He is more interesting to follow with each new record. 2 October, Ramones Museum, Berlin, Du. One of the best albums of 2013 and one of the best read articles on this blog (here) in 2013, is 'Rivers and coastlines: the ride', the latest album of Antwerpen based band TMGS (formerly The Moe Green Specials). The mix of pop, surf, desert Tex-Mex and alt.Americana makes for a special ultra melodic delight that I've not heard and experienced many times before. How would this transpose live? Unfortunately the gig was ill-fated from the start. No soundcheck and a seven piece band is asking for disaster. Still, when in the second song TMGS played, album opener 'Tell everyone', the trumpets kicked in, the Roots of Heaven were reached, as far as I was concerned. Despite the fact that the drums were too loud, the guitars and vocals too soft, not mentioning that something on stage was feedbacking in a horrible way through four or five songs. Despite all that TMGS showed the too less people in Q-Bus that it makes beautiful music. Great melodies, cascading and flowing in beautiful ways, surprising interludes, harmonies and two guitars that weave notes around each other. On top of that all are warm keyboard sounds as well, with the two trumpets as icing on the cake. A surprising mix of music that has everything on board from The Beatles to Wilco and from surf guitar to Calexico and 'Once upon a time in the west'. There's only one reason that only pictures are shown here from the soundcheck: I forgot to take others due to the power of the music. TMGS is another band that deserves a much wider audience. However, an important note has to be stated here, there has to be some interaction with the audience. The two trumpet players could play a role in this also. The stage presence could be better, as musically everything is there to stand out. soundcheck. This seems like the smartest thing to do and then make a real assessment of TMGS live. As far as I was concerned I had heard enough, but that was not the case for some of the people present as the troubles with the sound took out a lot of the energy and interaction, all aimed in the wrong direction and places. Next time revenge, TMGS. In the mean time I keep playing 'Rivers and coastlines: the ride', which still gives me great pleasure everytime I hear it. The circa a half year since my first listen has not changed anything there. A new classic is born! The interview with Kristof Janssens is here. Blind Willies is a band from San Francisco and not one with your average line-up. Sure, the bass and drums are pretty normal. Even a singer with an acoustic guitar is a pretty normal sight in a venue like Q-Bus Leiden, that specializes in American roots music. A trumpet and cello that were the solo instruments? Now we're talking. It made for music that was not totally average. The closest I could come in situ to compare was Counting Crows. and like Counting Crows Blind Willies were able to get me near ecstasy and boredom within two songs and back. Later Gogol Bordello came to me, but not very obviously. There was something Eastern-European in there. The gig started with a beautiful song. Most songs had loads of text and storylines that are impossible to follow when hearing songs for the first time live. At these moments the melody determines where a song will end concerning my mood and this went all across the board. At the moment I started to give up, Blind Willies played a German (Yiddish?) song that stuck out all the way. Another rhythm, another feel and the show came back alive. Then the guitar played two or three blues notes that send off warning bells in my head. Nothing happened for a few seconds and then the cello set in and I was singing along before I consciously knew to what. "My girl, my girl, did you lie to me?" The now Nirvana song by Leadbelly was played and what a surprise! Then a Blind Willies type rocker was played and the concert soared. It all ended with another bit bland song. A comment singer Alexei Wajchman made is one I heard several times before, that the audience in The Netherlands is so much better than in the US. Wait till you get to play the Paradiso! That will make you change your mind. In a venue like the Q-Bus where everybody comes to enjoy and listen to the music on offer it may well be the case. 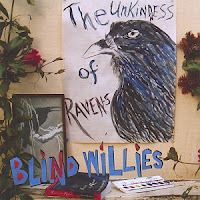 You can listen to Blind Willies' albums here.